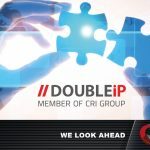 CRI, established in 1991 in Luxembourg, is a European Group operating within the IT & Telecoms ecosystem. Currently, CRI Group is working in 25 countries (in many, through local subsidiaries) serving, through a comprehensive services and technology offering, Telecom Operators, the European Union Headquarters, Financial Institutions and Governmental bodies. CRI continues to invest heavily on Mobile Marketing and IT excellence, in order to drive the evolution in our fields of operation.